Fairhomes Land is proud to launch a complete re-design and makeover for it's main website property www.fairhomesland.com. The new website provides additional information for new and existing clients. We will be adding a raft of new features shortly so please keep returning to check for the latest updates. 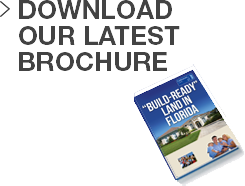 Latest news stories on the US real estate and property investment market will be updated daily along with more information about land sales in Florida. Check our twitter feed (http://twitter.com/fairhomes) to get the latest updates there too!